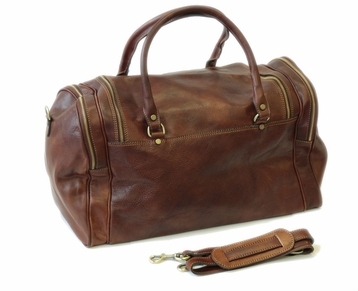 Our new duffle bag is anything but just another bag, it is a true fashion statement. 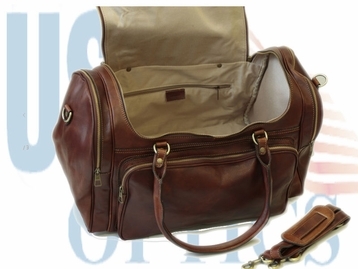 Beautiful to look at and to handle, roomy, comfortable to carry, excellent durability and style. 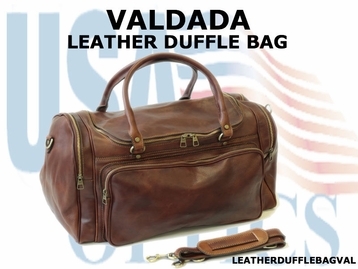 Premium rivets, zippers and hardware, impeccable single and double stitching, good size side pockets, leather handles and adjustable leather shoulder strap with oversize leather pad.